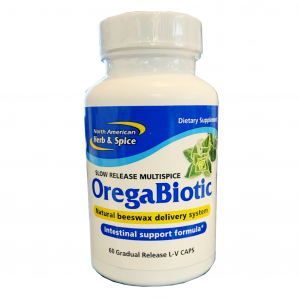 OregaBiotic is the only all natural, gradual-release, germ-killing formula, available in a convenient L-V (vegi) capsule. * Research shows that wild spice oils are potent germ-killers. Get you immune support naturally through OregaBiotic - it's powerful. 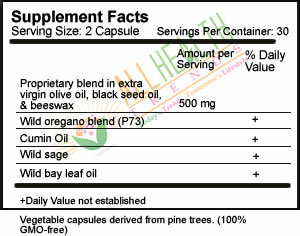 Directions: Take one or two capsules twice daily with meals or as often as necessary.